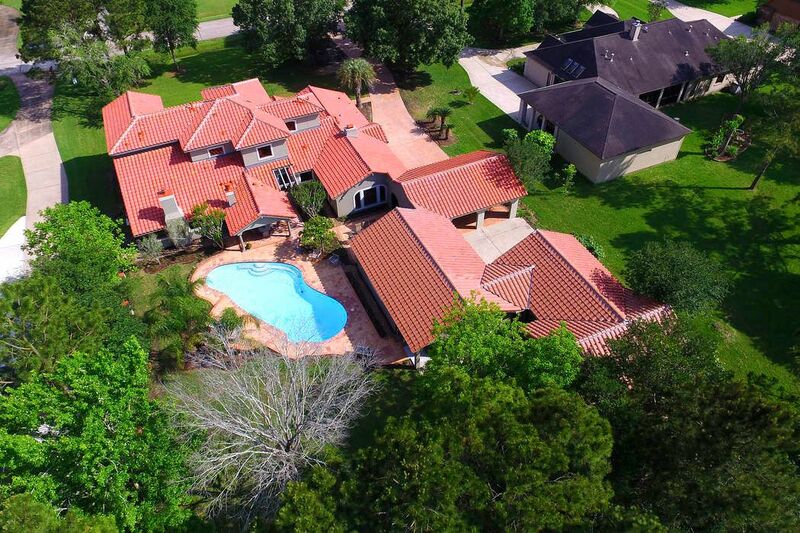 1102 Tall Pines Drive, Friendswood, TX 77546 | Martha Turner Sotheby's International Realty, Inc.
Ariel view of the sprawling grounds and Mediterranean style tile roof. 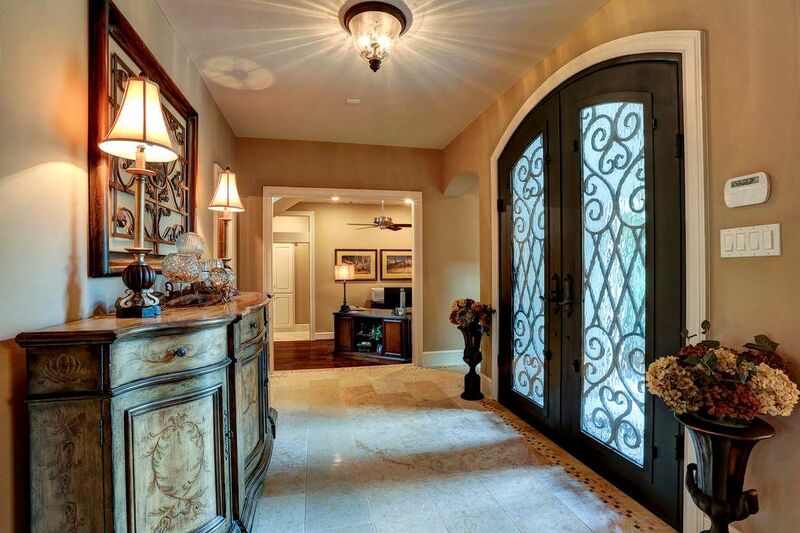 Canterra style wrought iron double doors make the foyer even more spectacular. 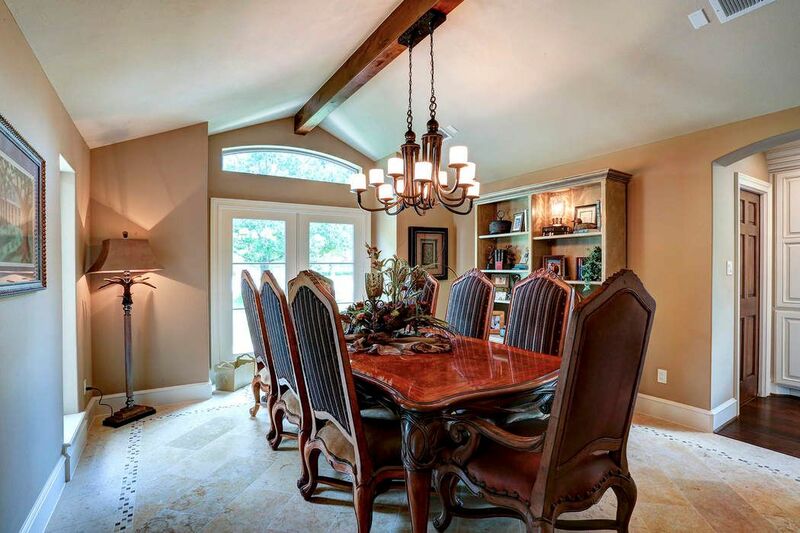 Spacious dining room with exposed knotty alder wood beam, custom tile work, and lots of natural light. Entire house has new double pane low e windows wind storm certified. 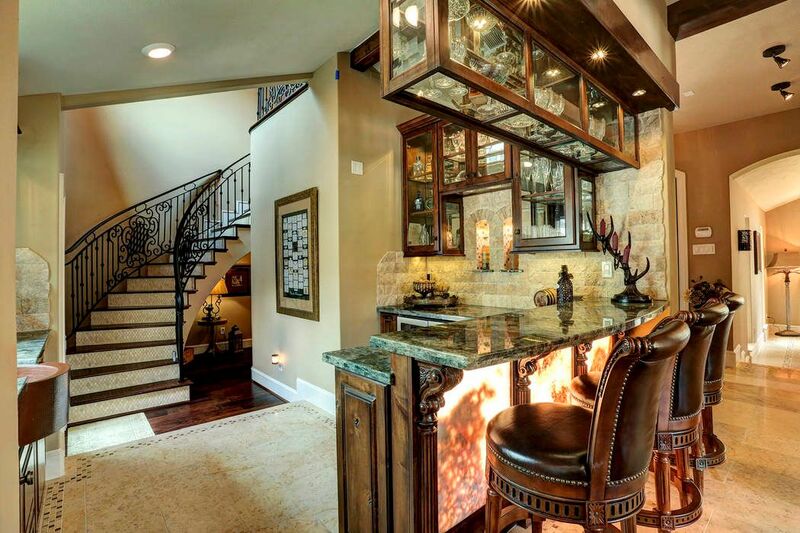 The wet bar, which is complete with plenty of custom glass cabinetry, exotic granite, stone wall, wine chiller, and beverage center makes the perfect place to entertain. 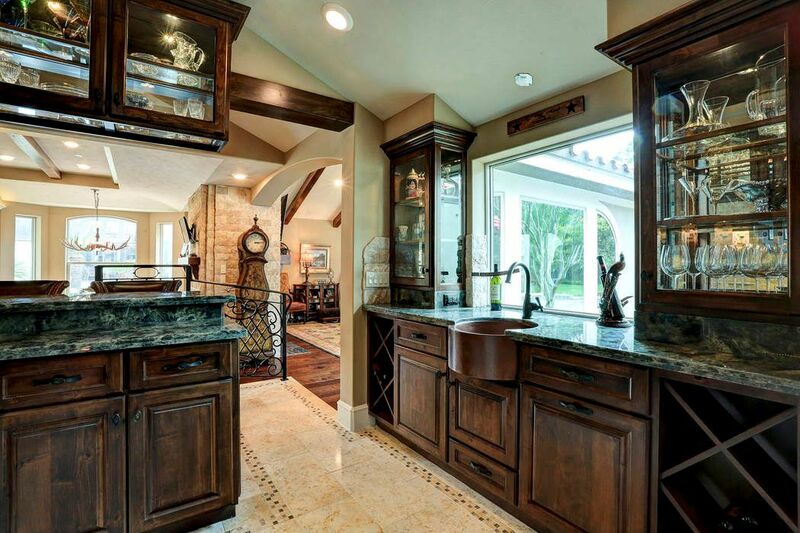 Also in the wet bar area, is a beautiful apron front copper sink and a large window that allows a perfect view of the backyard. 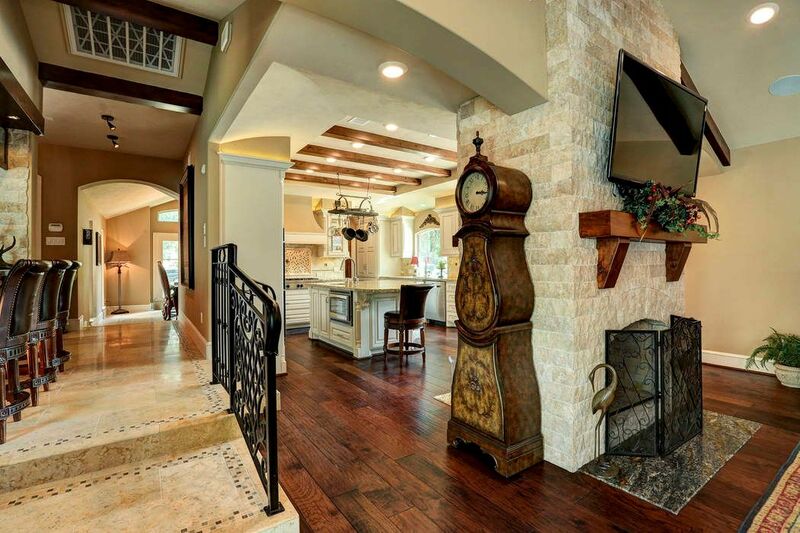 Custom tile work on the stairs leading up to the bar area, and a beautiful view of the stone on the double sided fireplace. 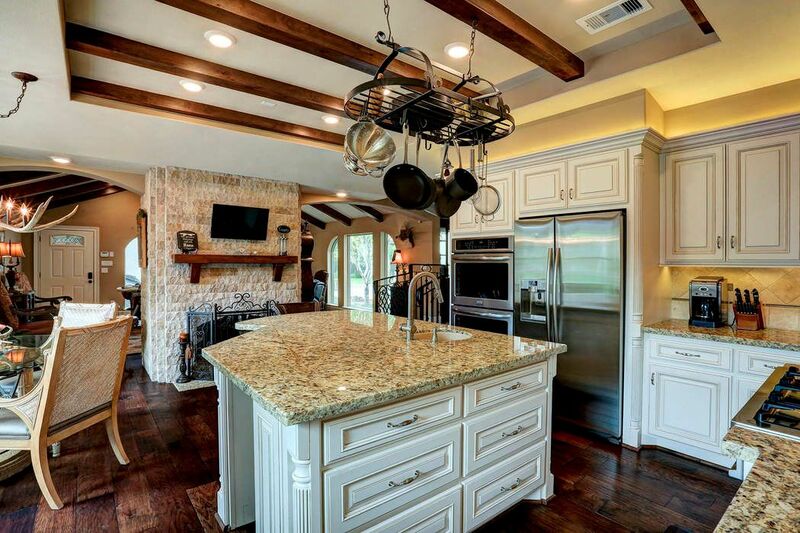 Six-burner cook top with pot filler and custom back splash.The island is complete with a second sink which is in addition to the large blanco farmer's sink and an under mount microwave. Frigidaire double ovens, over sized island, and custom cabinetry are accented by the wood beams and engineered six-inch wood plank flooring which all work together to give the kitchen a warm and inviting feeling while maintaining its grandeur. 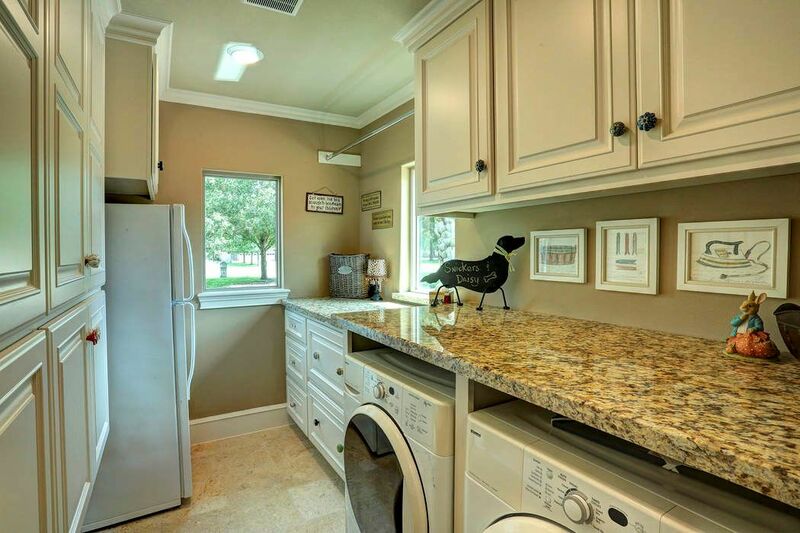 Laundry room off of the kitchen has been customized with cabinets for storage and an extra refrigerator. 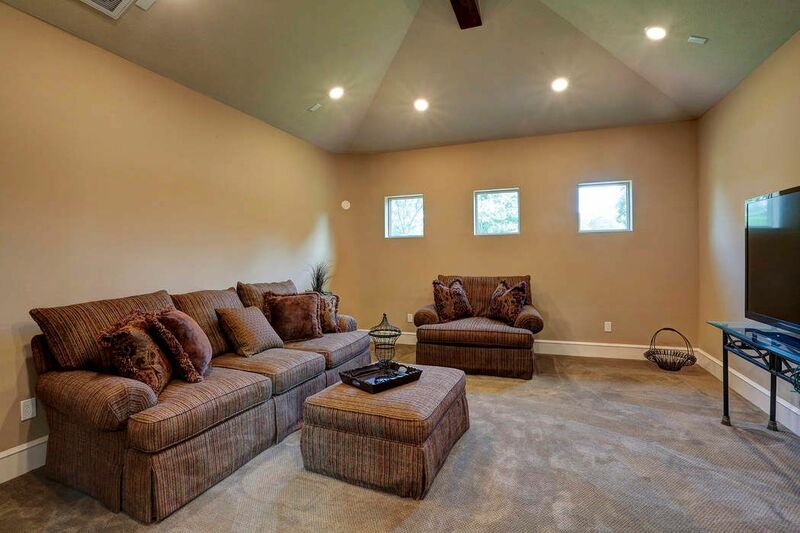 The family room is the perfect place to relax and enjoy the knotty alder wood beams and beautiful fireplace. New electrical and plumbing was done in 2015. 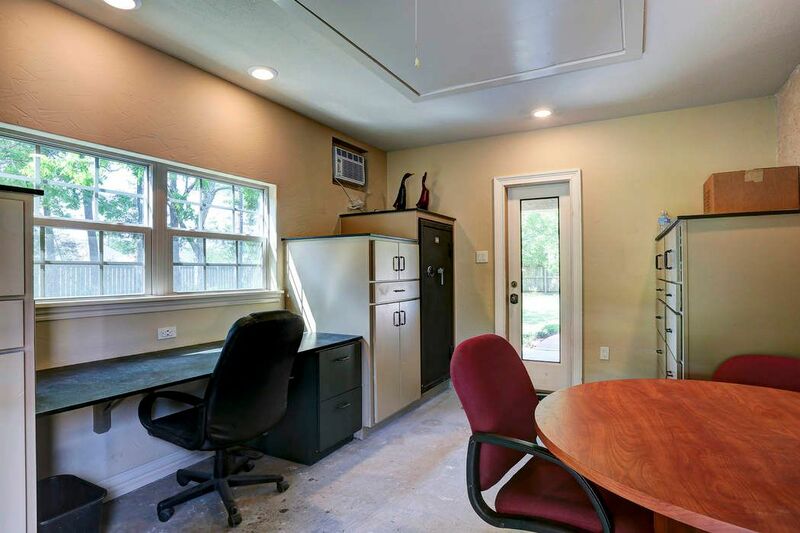 The study is located off of the foyer. 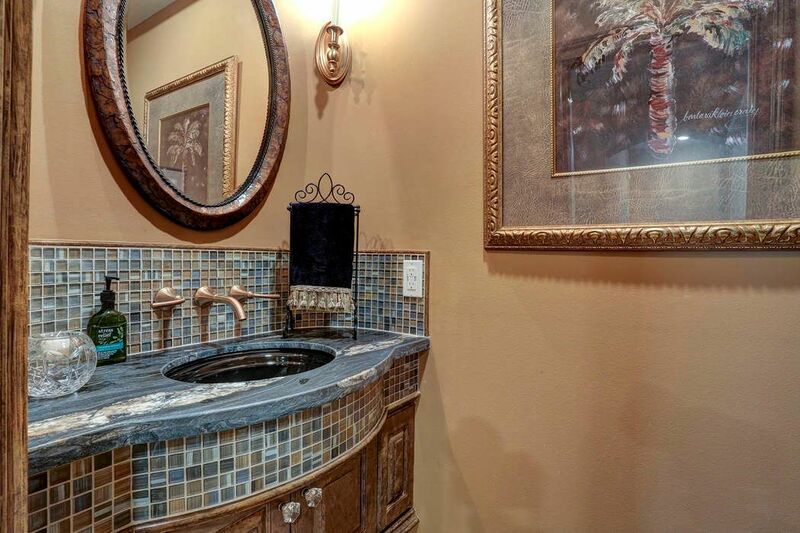 This elegant half bath is complete with exotic granite and mosaic tile work. 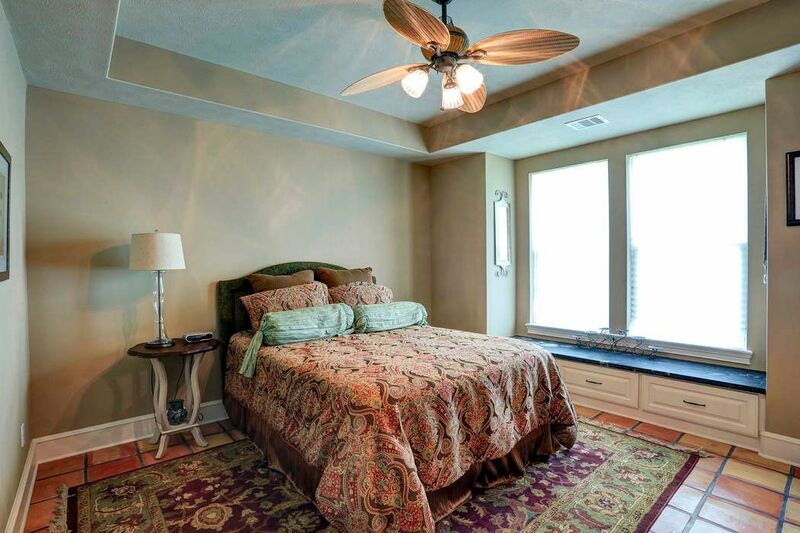 The master bedroom is as beautiful as it is spacious! 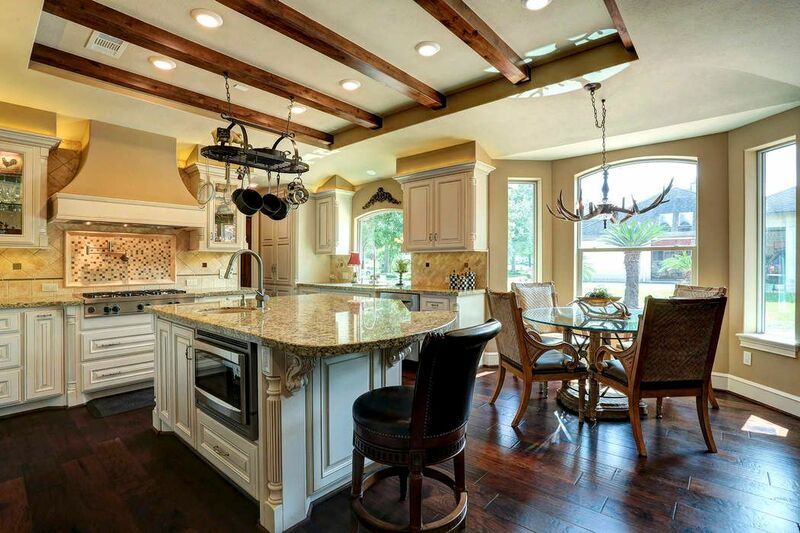 Complete with a fireplace, coffee bar, exposed knotty alder wood beams, and six-inch distressed wood plank flooring. 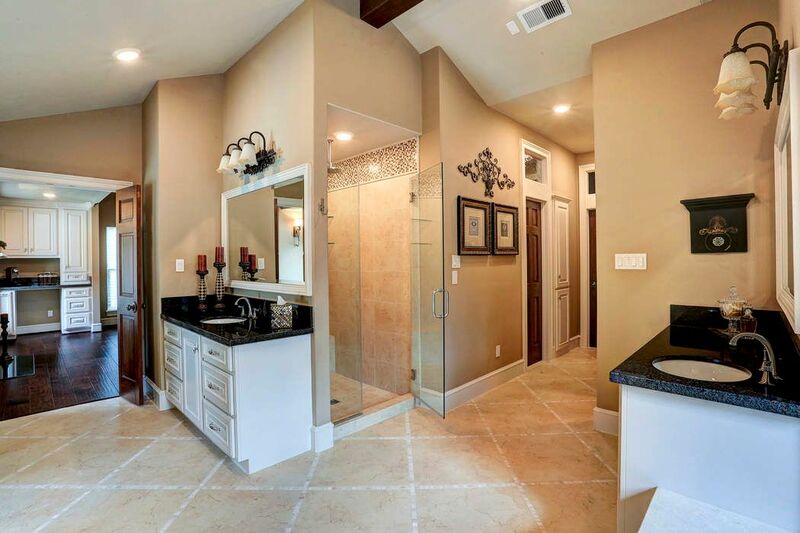 The master bath retreat with it's custom tile work, granite counter tops, and over sized shower. Seller added Two 50 gallon water heaters with instant hot water. 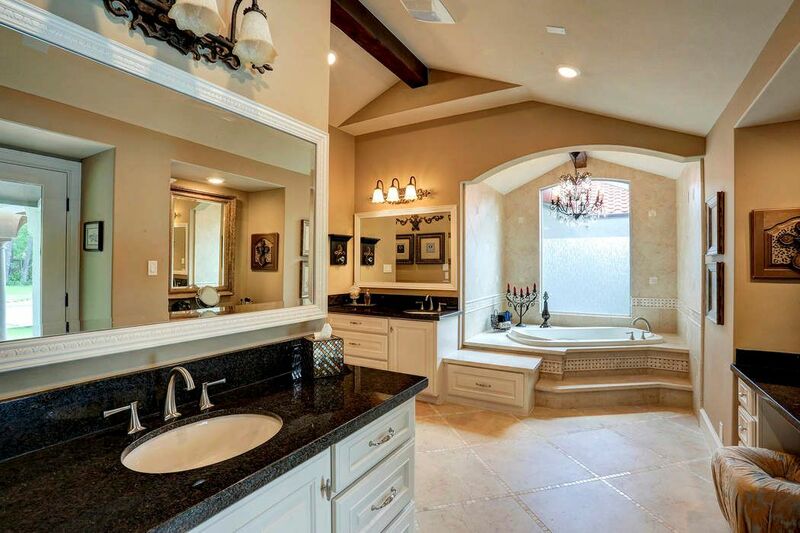 Step up into the over sized bath tub which is surrounded by crema marfil marble and elegant chandelier. A look at some of the custom cabinetry in the master closet. 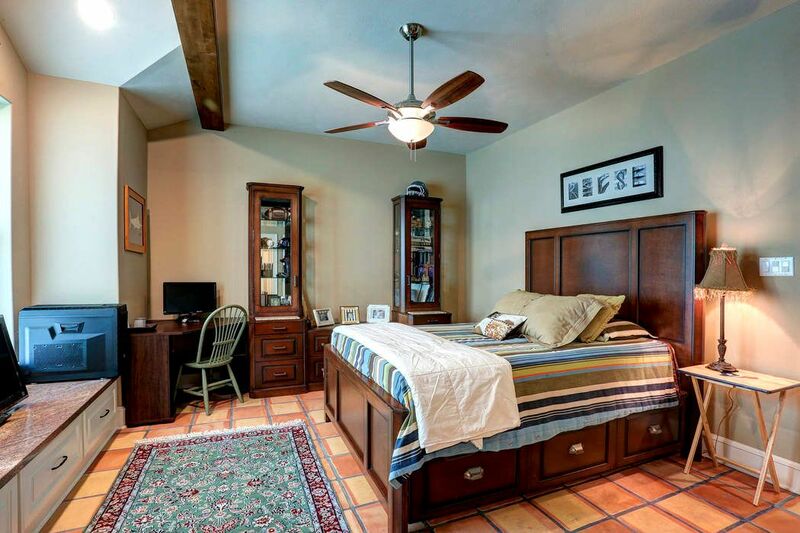 Secondary bedroom with a window seat, extra storage, and saltillo tile floors. 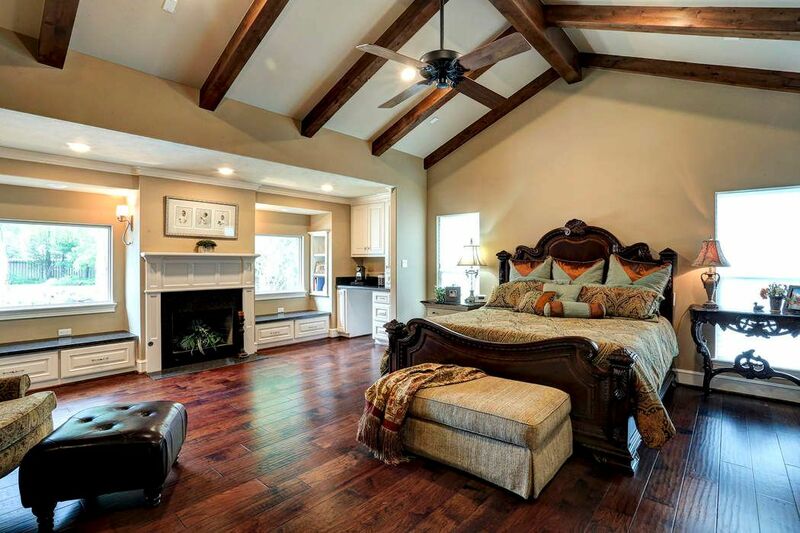 Secondary bedroom with saltillo tile floor and exposed knotty alder wood beam. 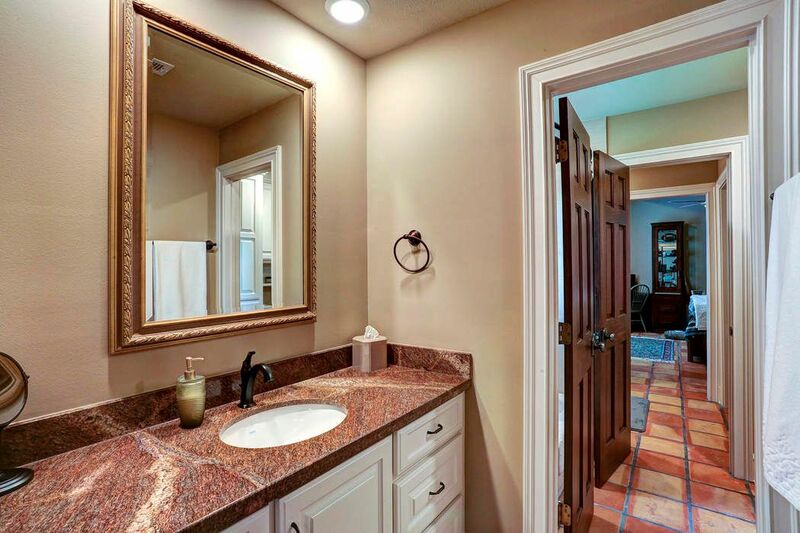 Secondary bathroom with solid wood doors and granite counter tops. 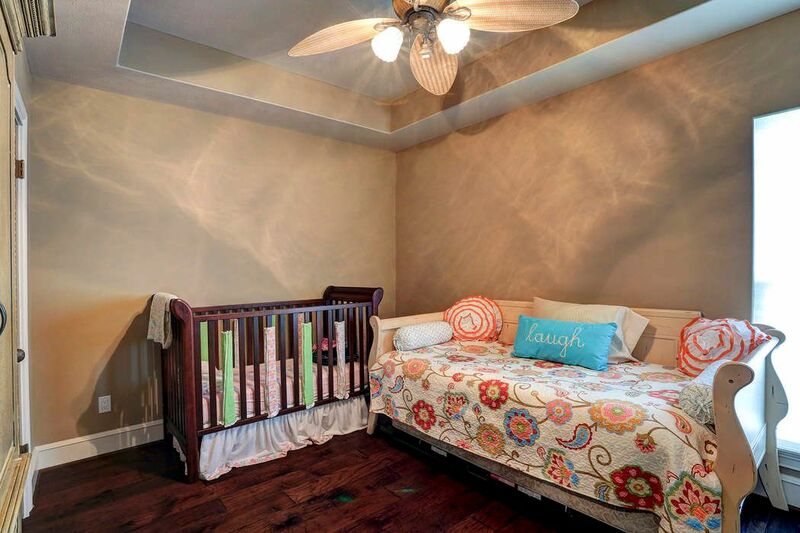 Secondary bedroom with distressed six-inch wood plank floors and tray ceiling. Upstairs game room the seller added with plenty of room for a pool table. 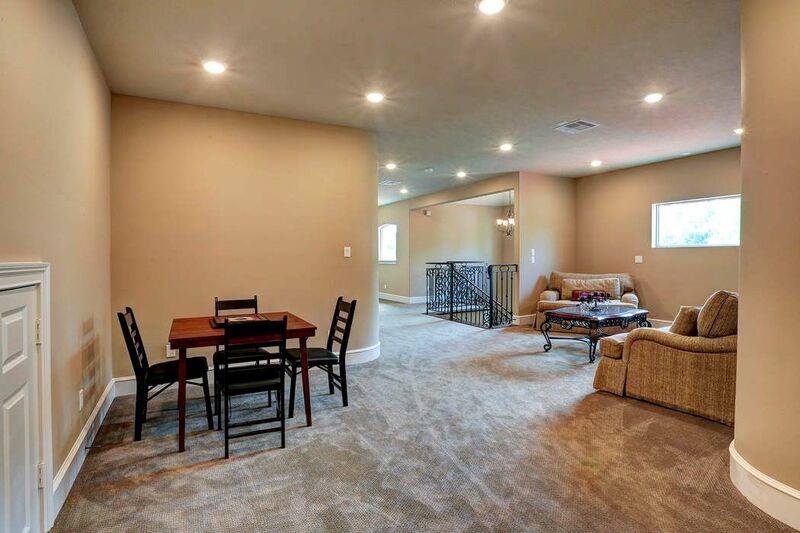 Media room which was added by the seller has french doors. 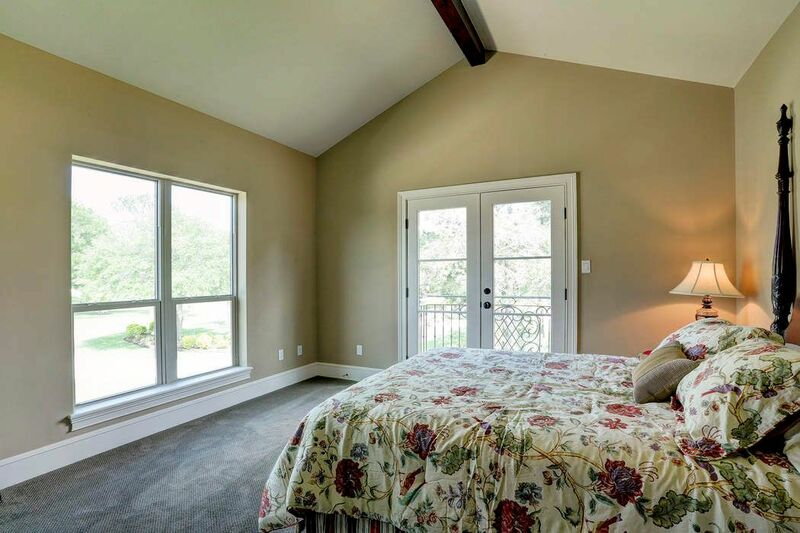 Upstairs guest suite with a private balcony, lots of natural light, and an exposed knotty alder wood beam. 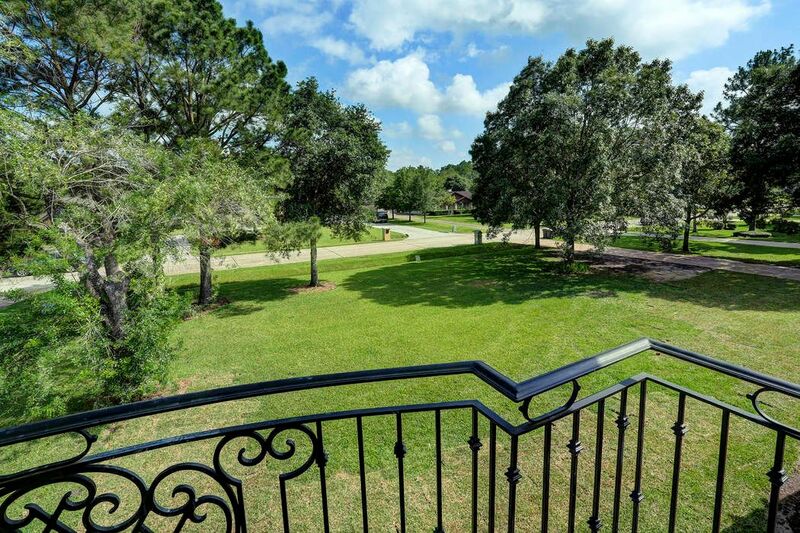 A view from the private balcony located off of the guest suite. 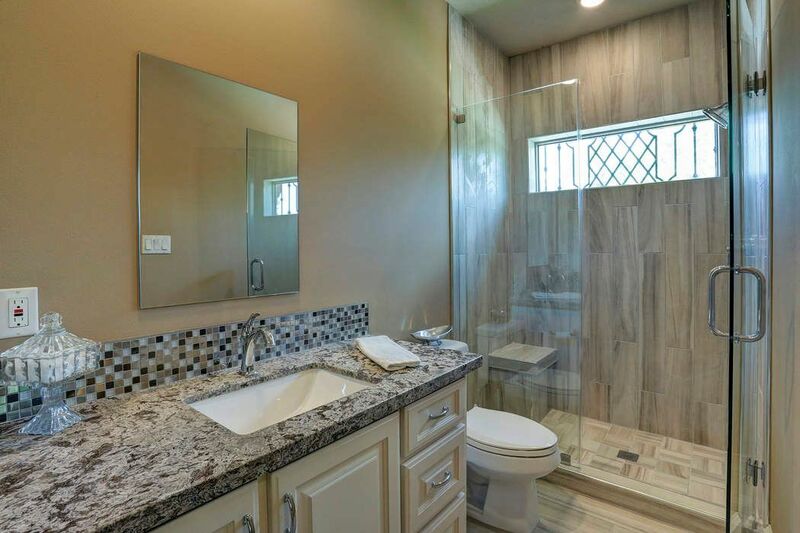 Guest suite's spacious private bath with gorgeous custom tile work and granite. 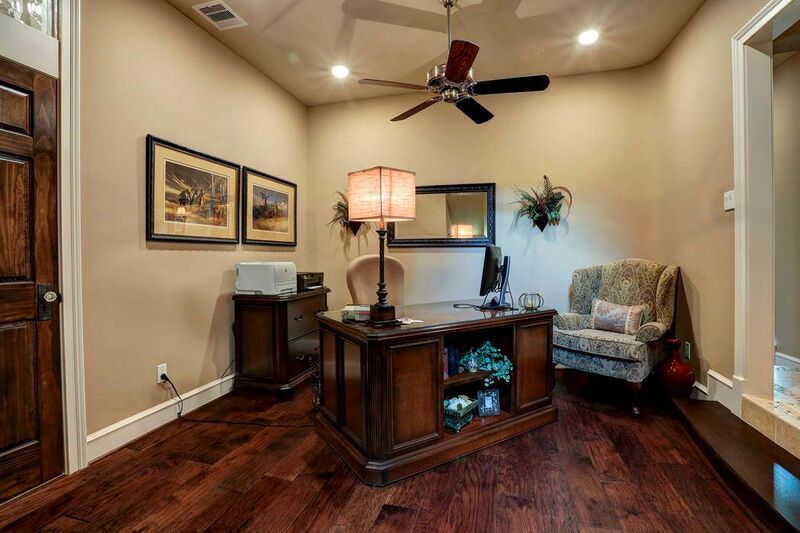 Outside room with a private entrance, Perfect for an outside office or a man cave. 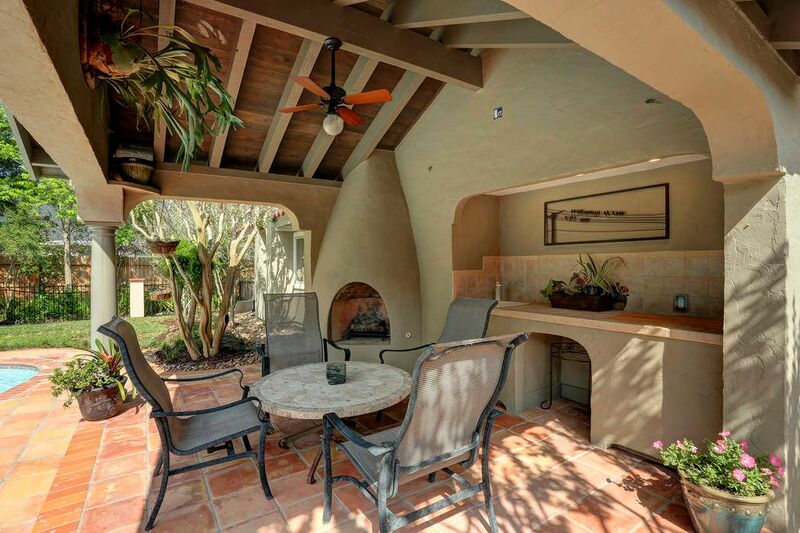 Outdoor covered area with exposed wood beams has a fireplace and plenty of room for entertaining guests by the pool. 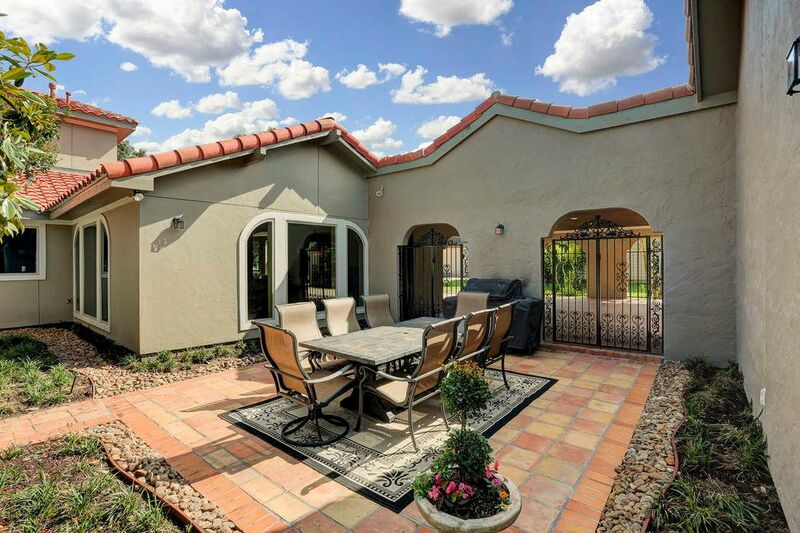 Another area in the backyard for entertaining and grilling. 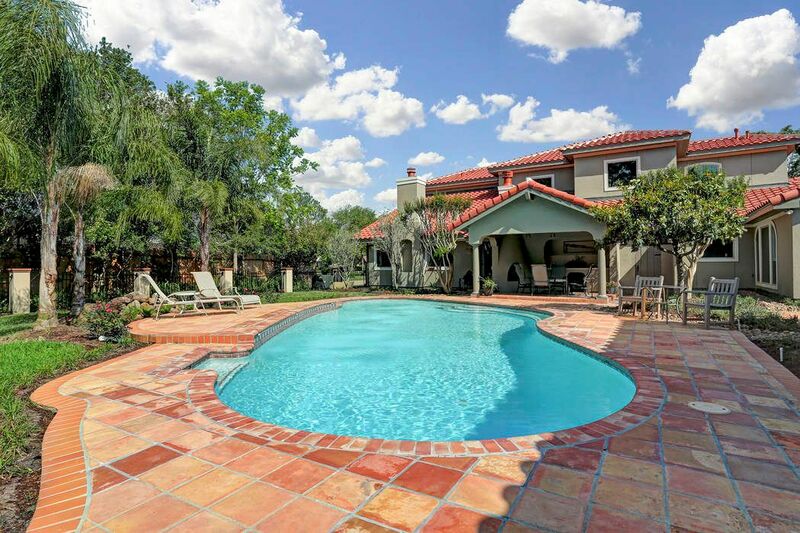 A view of the pool and the back of the home. Sprinkler system was added to the property. Seperate water meter for the pool and sprinkler system. Security cameras on the property. 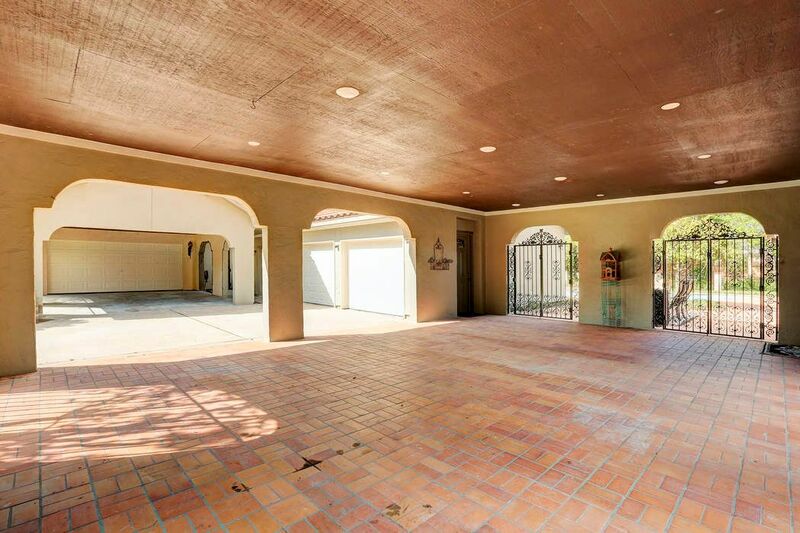 Covered area with tile for your vehicles and great for large gatherings. Iron gates entering into the backyard retreat. Great view of the 4 car garages. Perfect spot to relax after a long day at work. View of the long drive leading to the home. 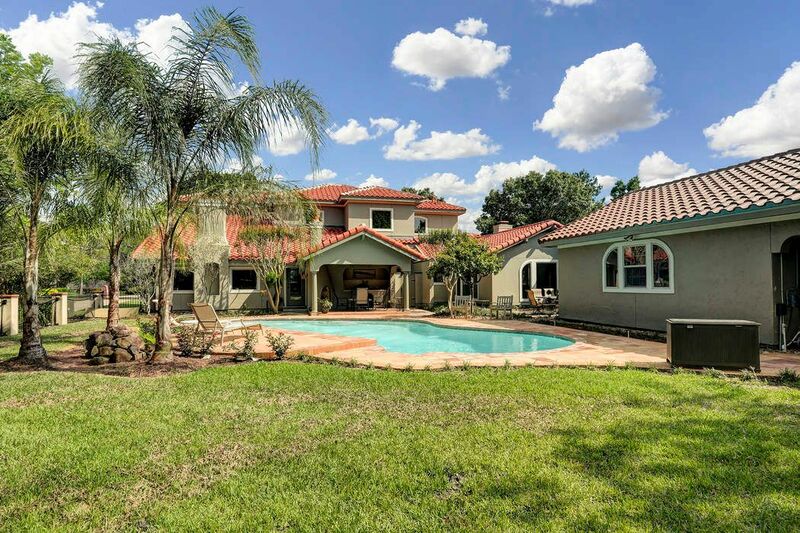 $958,000 5 Bedrooms3 Full / 2 Partial Baths4,762 sq. 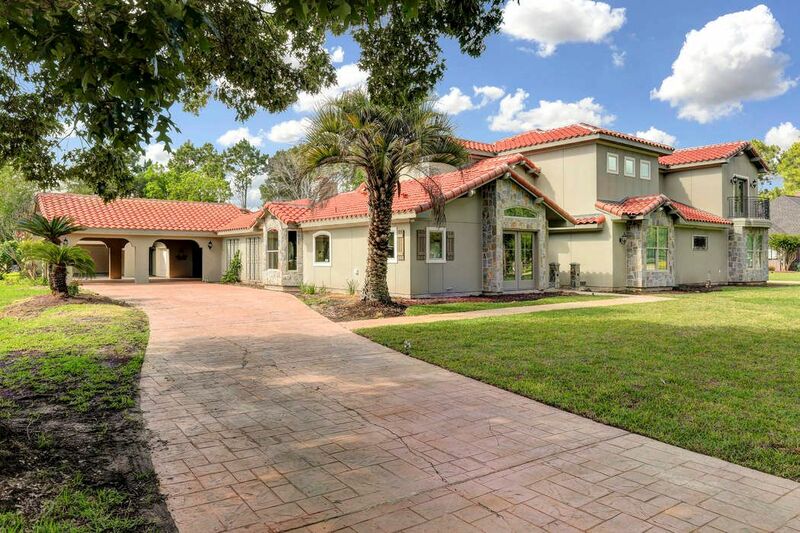 ft.
Gorgeous Mediterranean-style custom home extensively renovated. 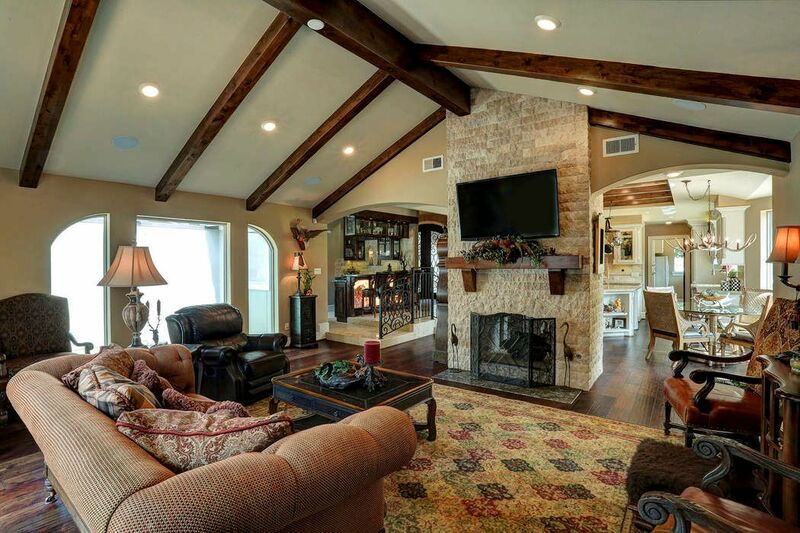 This home has been redone and features lifetime tile roof, Cantera-style iron front doors, Alder wood beams, exotic granite, engineered distressed 6" wood plank floors and outside fireplace. Additional approximate 1,500 sq. ft. added. Come see this beauty.